Companies challenged to exploit the intangible asset side of their business. this may be their initial foray into the intangible asset side (of their business). are early stage, research-based startups, maturing, and/or university – corporate research alliances. are intangible asset intensive and dependent. recognize the lucrative – competitive advantage relevance of engaging their intangible assets. business operations and transactions are embedded with various forms of intellectual, structural, and relationship capital, i.e., intangible assets. using the blog’s convenient search function i.e., enter key words relevant to your query – business interests – needs, to locate references among 650+ published posts. or, in lieu of those options, contact Mr. Moberly directly at m.moberly@kpstrat.com. specific to a business’s circumstances, i.e., its tactical – strategic needs, preferences, and the types of transactions, projects, and initiatives a business frequently considers-undertakes in which intangible assets are – will inevitably be in play. to address progressively challenging circumstances that reflect the expanding needs-demands for effective strategic leadership focusing on the ‘business side’ of intangible assets. Examples of my client – business engagements are…described in this blogsite’s ‘About’ section which include client engagement overviews, briefing papers, published professional papers, books, and videos. create operational familiarity and lay foundations…for executing lucrative – competitive initiatives and/or transactions for intangible asset intensive and dependent businesses. 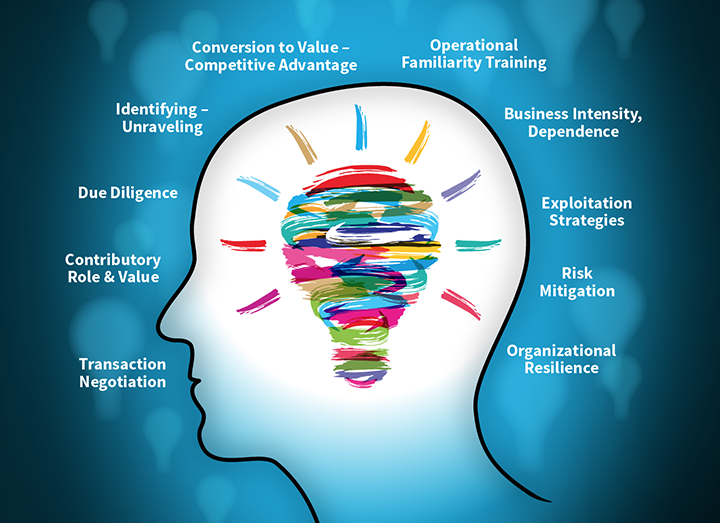 converge kpstrat’s competencies to…respectfully articulate and bring operational level clarity to the rapidly expanding intangible asset sides of business. convert the contributory role and value of intangible assets…to sustainable sources of revenue, competitive advantage, and enhanced reputation-brand, and mitigate risk. kpstrat is an entrepreneurially focused consultancy in perpetual learning mode, and accountable to businesses which are intangible asset intensive and dependent. I endeavor to ensure kpstrat is committed to…effectively delivering a range of intangible asset services, each of which is embedded with principled foundations upon which business leadership are (fiduciarily) obliged to realize. respectful, prudent, collaborative leadership that leads the way forward to lucrative, competitive, and sustainable outcomes. Collectively, these principles serve as Mr. Moberly’s…professional – personal framework for initiating – executing each engagement. They also play important contributory roles insofar as establishing respectful dialogue, productive collaborations, and lucrative outcomes for clients and their businesses!